Is Victoria Stilwell Becoming an NDT-er? In NDT the bite-and-carry is one of the five core exercises, and in fact it might be the most essential. Above we see that Victoria Stilwell is in effect prescribing the bite-and-carry exercise. Interestingly, so called science-based dog training is moving in the direction of the NDT practice and theory (Bradshaw: dogs should always win at tug-of-war, Pankseep’s seek system as basis of bonding, NDT principle of emotional conductivity and myelination, neutering, self-organizing social systems i.e. the “group mind.” etc, etc..) rather than the other way around. However if her theory of desensitization, counter-conditioning, and positive motivation were the keys to a dog’s adaptive nature and healing damaged dogs, then she should have no need to resort to the bite and carry. Now this very well may be an idea she stumbled upon through simple observation, i.e. dogs that like to carry toys in their mouths aren’t generally aggressive, but will this advice sans the NDT model do her followers any good? NO. In the eighties, it would have, but now, the heart of a problem dog is generally all calloused over with the effects of positive dog training and hyper-socialization. In the eighties if you gave a dog a toy to bite, the behavioral transformation was remarkable because the hump to get the dog over wasn’t as huge as now. But as science-based dog training took over the behavioral marketplace, now if a dog is particularly aggressive, he will not be distracted by a toy that the owner wants him to have because that goes 180 degrees counter to the Canine Catechism (No Bite, No Jump, Leave It, Time Outs, Off, Look-at-Me) he was raised and trained under and which was initiated at an intense level when he was but a young pup. 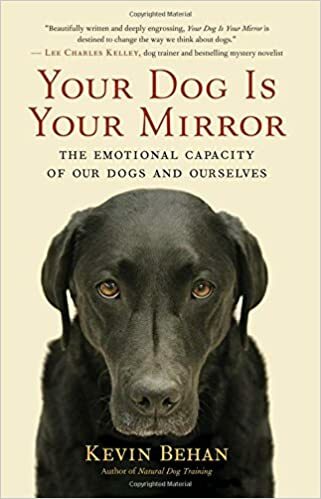 Invariably modern dog owners leave the dog’s prey instinct and the Drive-to-Make-Contact to develop on its own since the science-based school of thought doesn’t recognize the hunt as the organizing principle of the canine mind and denies the existence of Drive altogether. 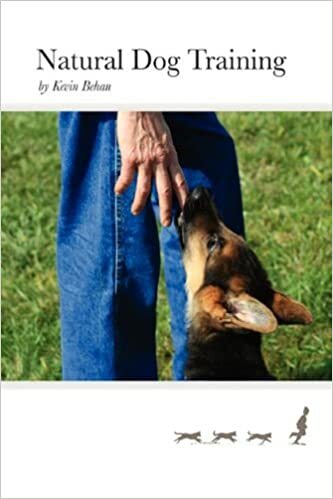 For example, many trainers confuse the Pushing exercise with the “opposition reflex” which “Eileen On Dogs.com” beautifully points out doesn’t even exist. The Canine Catechism teaches a dog he can’t give his owner his energy. So today, if an owner offers a “problem” dog a toy and he merrily carries it about, then he’s not really a problem dog and whatever little glitch he’s got could have been handled just as easily by BAT work (threshold manipulation) and cookie treating, or just hurrying on by. 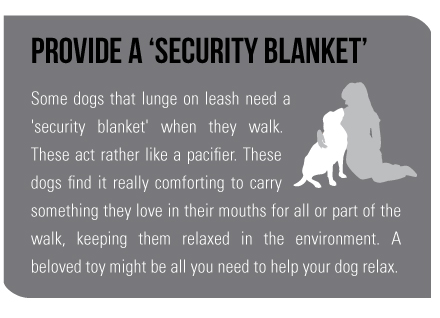 So to be clear, indeed it is helpful for a dog to have a toy in its mouth, and it is calming for other dogs as well, like seeing a knife securely stored in its sheath or a gun strapped in its holster as opposed to someone wielding one in hand. These represent two very different energy states (grounded versus ungrounded) and so they elicit two different emotional responses in an observer. When a dog is clear about the tug toy, then other dogs feel how grounded he is. I expect that the universal complaint she will be hearing from her followers will be that their dogs are not interested in a toy the instant he’s triggered. Then I suspect Victoria’s next step will be back to threshold manipulation and real smelly (i.e. “high value”) cheese treats and the power of the Bite-and-Carry goes out with the bath water. The real solution is to raise the dog’s emotional capacity (which sets the Master Threshold) by getting that puppy frame of mind back to the forefront of the problem dog’s view of the world and to accomplish this, one needs a model and in this regard science-based training is sorely lacking. The vast majority of the time I spend in rehabbing a dog is trying to get him emotionally free enough to bite what I want him to bite and then carry it about. To do this, teaching a dog to Push, Collect, Bark, Rub-a-Dub serves to get the bite back so that the healing can begin. Well put – very clear and accessible. Modern training techniques may be “science-based” but I think it’s somewhat misleading. Pavlovian and operant conditioning principles are in play but without an understanding of what the actual stimulus and response are, and without acknowledging the consequences. Skinner himself pointed out the insidiousness of variable reinforcement schedule conditioning, which is one of the lauded power tools of the “science-based” training regime. What’s the rub a dub you mention Kevin? I know the tug, the barking on command and the push and working on those but not sure on collect or the other.